New Tech Turns Plastic Back Into Crude: A Hope For Electronic Plastics Disposal? What are we ever going to do with all of this plastic waste? 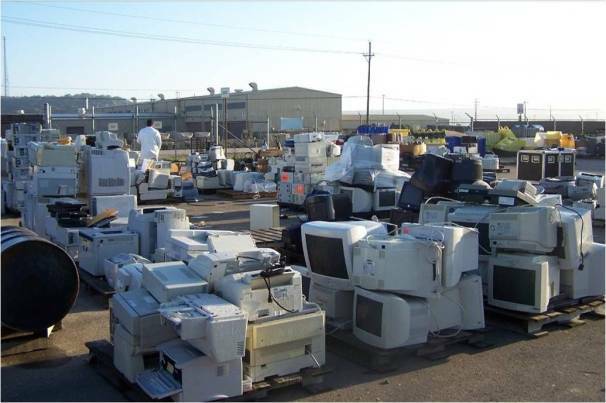 According to the Environmental Protection Agency (EPA) (via PetroStrategies), the US generated over 3 million tons of "e-waste" in 2008, and only 13.6% of it was recycled, with the rest going to landfills or incinerators. On top of that, according to PetroStrategies, a consulting, research, and training organization for the oil and gas industry, the World can expect to run out of oil in 2057 and natural gas in 2064. With the World's supply of oil dwindling and unrecycled plastics on the rise, we'll soon have no more resources to make our plastics (the hydrocarbon based ones, anyway) for our beloved electronics (oh noes!)! Thankfully, we may now have a solution. A company in Oregon called Agilyx has come up with an idea to solve our plastic pollution problem that may not only increase the lifespan of our oil supply but it could also reduce the e-waste in landfills, effectively keeping it out of the food chain. The company's patented process converts ground up plastic waste into synthetic crude oil. Using a set of four primary vessels and some other secondary processing equipment, Agilyx can convert 10 tons of plastic into about 2,400 gallons of crude per day. First, the waste plastic is ground up and then placed into a cartridge that is placed into one of the vessels. Hot air is circulated around the cartridges to melt the plastic and then turn the plastic into a gas. The gas is then pulled through a entral condensing system where it is cooled and condensed into synthetic crude oil. The impurities are filtered and any gases which don't condense are made environmentally friendly and then released into the open atmosphere (mmm, tasty). The oil can then be sold to a refinery where it is mixed with crude from the ground and then distilled. I imagine that they could also take the synthetic crude and convert it back into plastics. Additionally, this process can be used for not just e-waste, but for any plastic that fits the criteria and it can come from anything from cars to boats. Fortunately, for this process, most plastics are made of hydrocarbons including a lot of plastics in electronics like ABS, polycarbonate, and polypropylene. Unfortunately, plastics like PVC lack hydrocarbons and cannot be turned into crude. Hopefully this process becomes widely used soon because plastics are piling up in the landfills and in places that they shouldn't be piling up in. With any luck, not only will this process become common practice, but engineers around the world will take the hint and begin designing more organic and degradeable plastics. Follow James Mulroy on Twitter to get the latest in microbe , dinosaur , and death ray news .